Steven L. Blue is an internationally-recognized expert in transforming rust-belt companies into high-tech powerhouses. He teaches senior rust-belt executives how to revitalize their companies, triple profit, and leave the competition behind using his proven formula of igniting Innovational Potential®. Steve promotes his methods of transformation through speaking engagements and media contributions through publications such as FOX, BusinessWeek, Forbes, Inc., The Huffington Post, Entrepreneur Magazine, AMA, Europe Business Review, The Adam Carolla Show, IndustryWeek, and The Wall Street Journal. His insights have led many media outlets to refer to him as one of America’s leading Mid-Market CEOs. 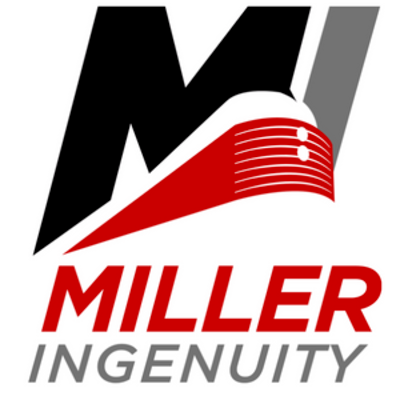 Steve is President and CEO of Miller Ingenuity—an innovative company revolutionizing traditional safety solutions for railway workers. Its products protect assets, preserve the environment, and save lives. 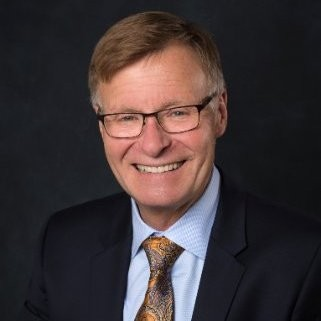 Steve also serves on a variety of boards in safety, banking, healthcare, and university business schools, and is the first CEO-in-Residence for the College of Business at Winona State University. Steve’s “Transform. Ignite. Disrupt.®” podcast, available on iTunes®, and his “League of Extraordinary CEOs” article series, featured in The Business Journals, are dedicated to interviewing innovative CEOs who have successfully transformed their organizations. He is the best-selling author of five critically acclaimed books that target executives, leaders, entrepreneurs, and anyone seeking to learn the secrets of success in the corporate world. Steve’s latest book, Metamorphosis: From Rust-Belt to High-Tech in a 21st Century World, is a detailed blueprint for CEOs and senior leaders to transform their businesses from failing rust-belt companies with small margins into high-tech leaders with superior profits. Steve’s earlier books include: Best-seller Mastering the Art of Success (co-authored with Jack Canfield of the Chicken Soup for the Soul series), American Manufacturing 2.0: What Went Wrong and How to Make It Right, The Ten Million Dollar Employee: When Your Most Toxic Liability Meets Your Most Important Customer, and Burnarounds: Unlocking the DoubleDigit Profit Code. Steve Blue joined with DNA Films® as a Co-Producer in the documentary called “Getting Everything You Can Out of All You’ve Got: The Jay Abraham Story,” which chronicles the life and legend of Jay Abraham, an American business icon. Steve’s “7 Values of Ingenuity®” is the preeminent system to achieve exponential growth in a business. His “Innovational Potential®” concept offers a roadmap for companies to ignite their creativity and innovation capability. Steve holds a Bachelor’s Degree from the State University of New York and an MBA from Regis University.